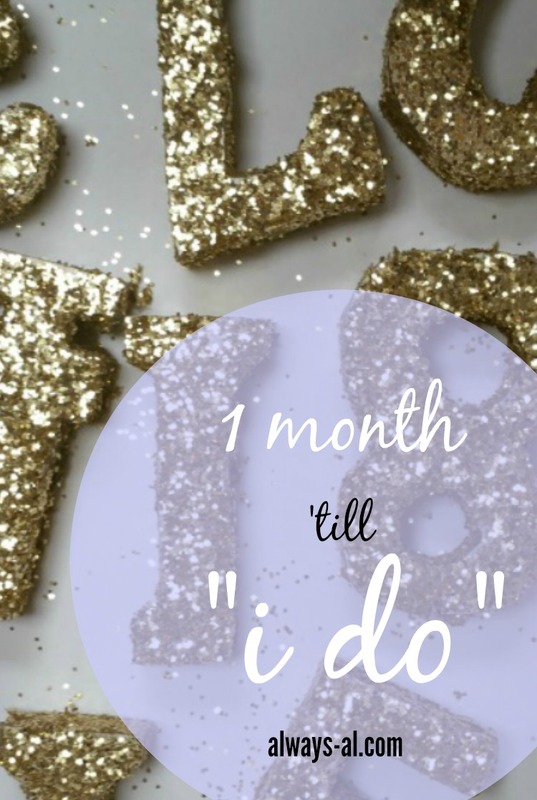 1 Month to "I Do!" Happy Wednesday! We seriously have no time at all before we are driving to Rochester to become husband and wife!! This past weekend was my bridal shower and bachelorette party in Rochester, and this week we are having a celebration in Norfolk! I am so overwhelmed by all the love and support from our friends and family! We got SO much done while I was in Rochester last weekend. It was great. This month is going to be all about our finishing touches! I'm sure there is a lot more that I'm just not thinking of! Also, if you didn’t catch the gorgeous set up of my Brunch and Bubbly themed bridal shower, here is another sneak peek. I’ll talk more about this next Wednesday. Happy hump day everyone!